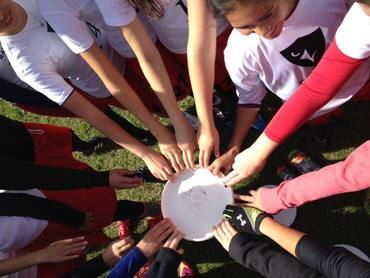 The Ravens Women’s Ultimate Frisbee team is a competitive and fast-growing sports group. The team competes in tournaments at the provincial and national level, attracting more and more talent each year. Throughout the school year, the team practices 2-3 days per week, in addition to high-intensity team fitness workouts. The team continues to work tirelessly throughout the winter season by practicing indoors in preparation for more tournaments. In October 2016, Ravens Women’s Ultimate made it to Tier 1 at Nationals and competed against top schools in the country. The team has passion, skill and works hard, but lacks funding to attend more tournaments. Support for this fund will provide players with opportunities to play at more tournaments, including those in the USA. By supporting the team, you are enabling the athletes to grow and experience Ultimate at a whole new level.